Throughout history Jews have found themselves disposessed and destitute. 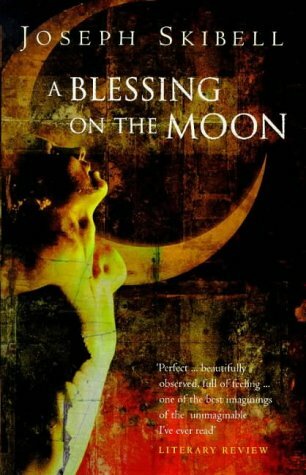 Joseph Skibell's A blessing on the Moon tells a similar story. Chaim Skibelski is shot dead and is not even allowed to enter the World to Come, asking the question if maybe to be Jewish means to be wandering for eternity. Skibelski's journey is extraordinary. Travelling through a countryside which is both familiar and alien, the reader is led down a surreal path. Invisible to all but a select few, Skibelski's encounters are strange, dark and sometimes even humorous. After rising from the grave Skibelski wanders the frozen earth. On occasion he is accompanied by his friend the Rabbi, (who has shape shifted in to a talking crow) and sometimes he is alone. The protoganist initially returns to his old home, which is now occupied by Poles. It is from this house that Skibelski's journey begins, encountering more living dead victims of the holocaust along the way. The time line of the novel is never clear--sometimes months pass, sometimes years; however one can be sure that Chaim Skibelski's confusion is far more intense than that of the readers.